- For DLF, the acquisition of PGG Wrightson Seeds is truly a significant strategic leap. We see PGG Wrightson Seeds as the leading temperate forage seed player in the Southern Hemisphere, with DLF occupying a similar position in the Northern Hemisphere. We see real opportunity for value creation as a combined business with a strong global offering for our customers, DLF Chief Executive Truels Damsgaard said. - PGG Wrightson Chief Executive Ian Glasson said, “The Seeds business will benefit from being part of a truly global company with a diversified offering. Meanwhile PGG Wrightson Rural Services will continue its strategic partnership with Seed and Grain, and remain the leading New Zealand rural services company. PGG Wrightson Seeds and DLF operate complementary businesses in terms of market coverage and distribution capabilities geographically. The combined business will gain such critical mass that will allow continued investments into research and product development at the highest level. - Offering end-users better seed solutions through research and plant breeding is at the core of a proprietary seed company’s strategy and mission. The world is changing ever faster with new plant breeding technologies offering quicker and better tailored solutions to diverse farming conditions. To stay ahead of the competition, it is of outmost importance to gain scale in your business, as applied biotechnology is expensive and long term to develop and not without technology risks. 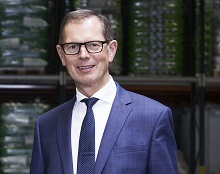 With this acquisition DLF not only achieves such scale, we also gain a strong supply chain and market coverage in the Southern Hemisphere, which positions DLF uniquely in the global forage and turf seed space, Truels Damsgaard said. 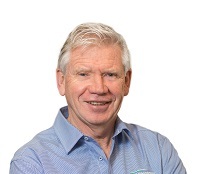 - Group General Manager PGG Wrightson Seeds John McKenzie said: From a PGG Wrightson Seeds’ stand point, I have known Truels for a long time and I look forward to working with the DLF organisation. Over recent months I have come to know DLF - and the DLF management - as a dedicated, long-term player in the forage and turf industry. For the future, as in the past, PGG Wrightson Seeds will continue to offer advanced seed solutions via our existing retailer customer base to end-users, not least to farmers across New Zealand, Australia and South America. - We have come to know PGG Wrightson Seeds and its management, headed by John McKenzie, as true seedsmen with a philosophy which is compatible with DLF’s. We appreciate the value add proposition, especially to farmers, that are driving PGG Wrightson Seeds brand and operation. 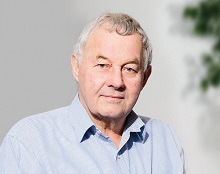 I look forward to welcoming John and his entire team to DLF, and in a combined effort I’m confident we shall continue to offer the best seed solution to farmers and end-users across the globe, Truels Damsgaard said. The transaction is expected to close within six months. PGG Wrightson Seeds breeds, produces and markets forage seed, brassicas and cereal crops for agriculture, as well as turf seed. PGG Wrightson Seeds has gained a position as a market leader in turf and forage seed in the southern hemisphere. The seed company has a well-developed research and development program and has a strong position to expand and develop activities in both existing and new markets. The company has almost 600 employees, of which half are in New Zealand and the rest are evenly distributed between Australia and South America. PGG Wrightson Seeds has a revenue of approx. 450 NZD Million. DLF Seeds - a Denmark - based global seeds group - was established in 1872. It is owned by DLF AmbA, a cooperative owned by approximately 3,000 Danish seed growers. DLF operates within forage and turf seed, sugar and fodder beet seed, seed potatoes and multiplication of vegetable seed, and is active in more than 80 countries. DLF’s vertically integrated operations - in research, production and sales - have 1,200 employees, 12 percent of which are involved in research and development. DLF Seed’s headquarters are in Roskilde, Denmark. It is also present in The Netherlands, the United Kingdom, Ireland, France, Sweden, Germany, Poland, the Czech Republic, Italy, Turkey, Russia, China, Canada, the USA, Uruguay, Argentina, South Africa and New Zealand.